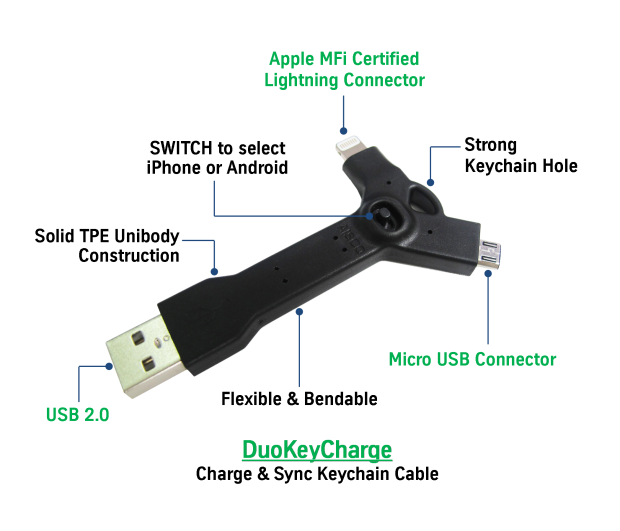 Here comes DuoKeyCharge Keychain for iPhone, iPad, Windows, BlackBerry and any Android Phone. 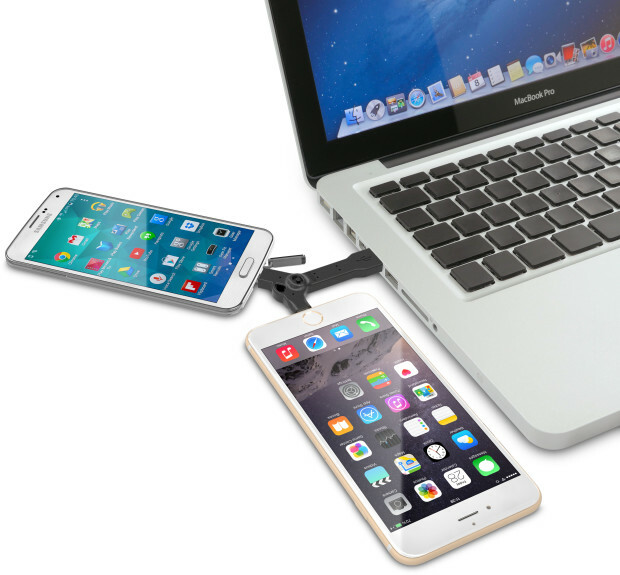 If you are interested in purchasing amazing gadget for your phone, doesn’t matter if its Android or iPhone, for time being we have got the AISCO manufactured DuoKeyCharge keychain cable. Featuring an Apple MIF Certified Lightning Connector and a micro USB Connector you can connect both devices simultaneously on to a PC with other side having a standard USB 2.0 port. Good thing is that you can charge your existing iPhone 2X times faster using a DuoKeyCharge cable to iPod Wall Charge rated at 2.1A/5 Volt. 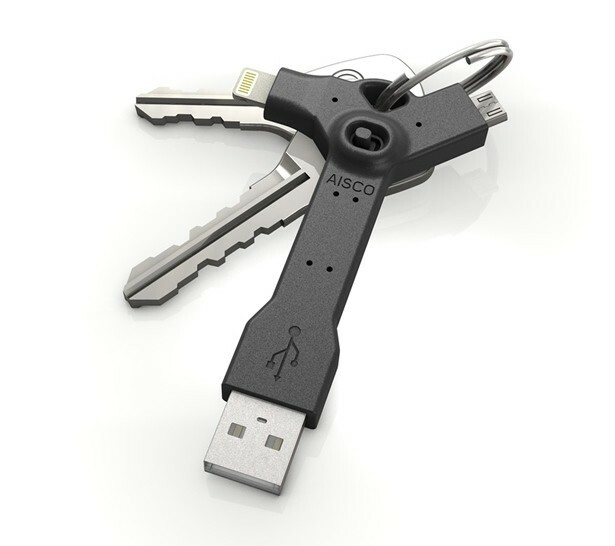 This keychain is under Indiegogo campaign for need of funds. Target is $10,000 and you will have to pay $15 right now to get the keychain in Q1, 2016 if the target is reached within 30 days.